Leave it to the Italians. 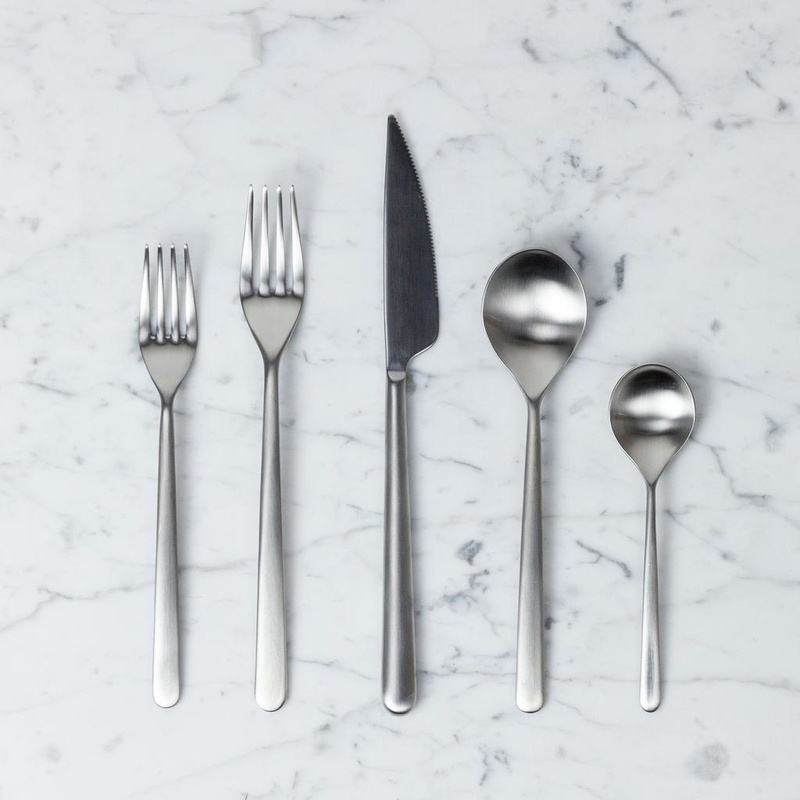 Made in Lumezzana, Italy for generations, this classically crafted, perfectly weighted, and flawlessly finished five piece flatware set instantly elevates your weeknight cacio e pepe to special-occasion-status. Crafted from 18/10 stainless steel, with sleek, smooth, architectural lines, and a subtle, elegantly matte steely finish, these utensils have that perfectly effortless blend of old-world charm and modern sophistication that comes from hosting generations of family dinners. We love how they feel in your hand and how they look on your table. A true pleasure to use. Call them what you'd like depending on your fondness for salad vs. dessert, each place setting comes with a small fork, large fork, dinner knife, large spoon, and small spoon. 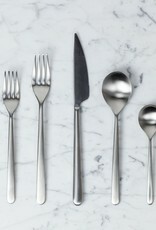 Take care: The 18/10 stainless steel used means that these friends can party all night in the dishwasher. Go ahead, invite the neighbors.